The first inside joke I became privy to when I came to Regent was about the Regent Water. In the college years, relationships are prevalent, and are rather different from high school relationships. College students are more independent, entering into the adult world. We no longer have to listen to our parent’s guidelines, we have more choices on how we progress into those relationships. We also are at an age where the topic of marriage is not as far off as it once seemed. 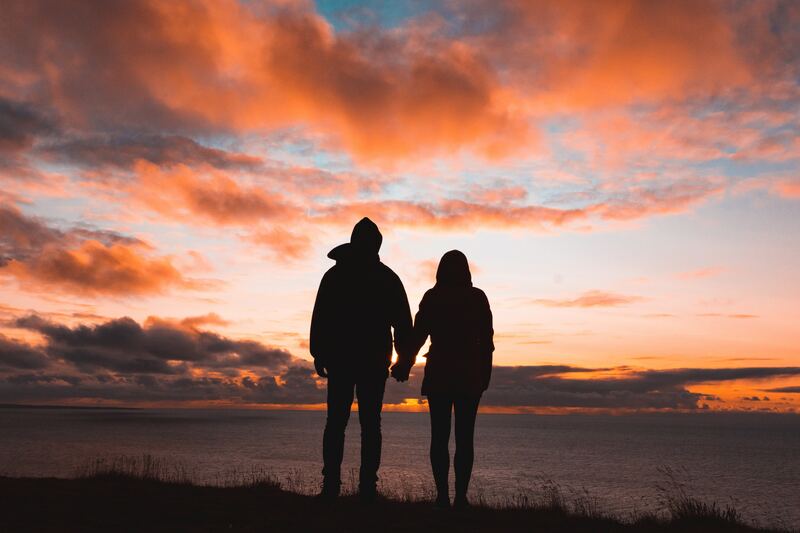 After talking with many other Regent students, there is a lot of speculation about whether we do relationships well, and if certain trends seen in Regent dating culture are healthy. I sat down with a couple students to ask their opinions and views on our dating culture. The first person I talked with was Dan Keever, a senior Communication major, who is currently very happily engaged. I asked him what his views on Regent culture were. “If I could put one word to it, I’d say it’s well-intended,” Keever said. “When you are in a relationship, you love to be able to give that other person a sense of safety – emotional safety – and a big part of that is you want to know that the person you’re with is going to still like you tomorrow. Sometimes, whether its pressure of the other person or even just pressure inside our own hearts, we feel obligated and pressured into committing to more than the Lord has told us to. I also asked him what his view on whether Regent relationships are too marriage-focused. “I think that if we were dating to marry, we’d understand how long that road is. Even now, Madeline and I have four months until we get married, and when it comes to boundaries we say, okay, pace yourself, you’ve got four more months of being engaged and you can’t cross any line until you go past that. Your affection for the person is going to grow and maybe you need to give it some space to grow. To answer the question of is [Regent dating] too marriage focused: I think we think it is, but we’re not dating for marriage. We’re pretending like we’re almost married men in the dating stage before we understand what a long-term commitment is, before we understand if our career paths and callings are compatible. She went on to talk about her time being single. “I’ve had a lot of time with the Lord and allowing him to romance my heart. And that has been the best experience – having that time with the Lord I wasn’t able to have in a relationship, or that I didn’t pursue I should say. I can see the Lord and his perfect love, so one day I am not trying to fulfill my need for love with someone else, but rather allow the Lord to fill me with that. I just love being single because I love spending time with the Lord in an intimate, vulnerable relationship. Regent, overall, is good about dating for the right reasons. Many of us hold onto the value and virtue of marriage and look for that to be the ultimate end of dating. However, because we see this as the end, there is a tendency to rush the dating stage and start part of the marriage stage early. The danger in this is that we miss the process of pursuit, we miss the preparing of the heart for that commitment. Whether you are in a relationship or single, take advantage of this gift. You have time to grow and to serve, be good stewards of that. Don’t rush the stages, but rather prayerfully lift up where you are with the Lord and grow in that present, moving on as the Lord moves in you. Before I ended my conversation, I asked both Dan and Emily if they had any advice or wisdom to give to their fellow students. Enjoy this time you are in, but remember we are always meant to grow closer to the Lord and rely on his guidance for our lives. Every relationship and every life is different. Your relationship may not fit the mold others are following. Remember that you are a unique individual, and if and when you are brought into a relationship with another unique individual, your relationship will reflect that uniqueness. Gather wisdom, pace yourselves, let the Lord guide you, and move in love.